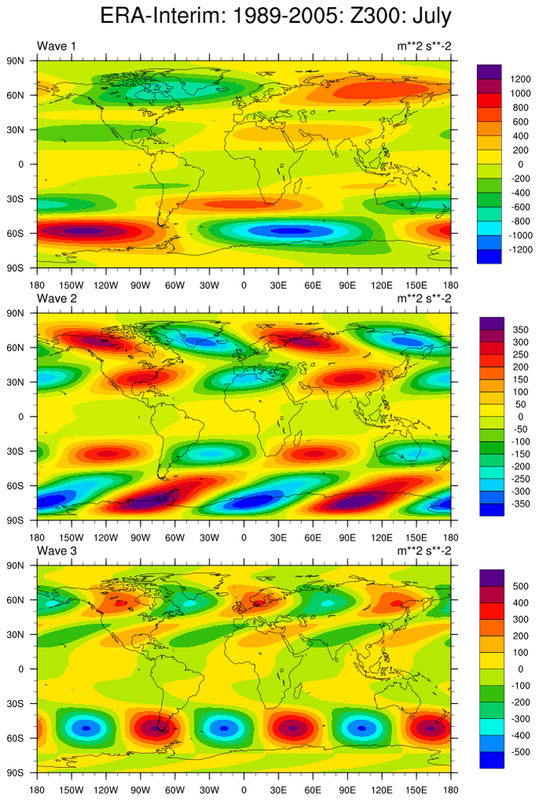 Global atmospheric data are periodic in longitude (0-360) and climatological data are periodic in time (here, 12 months). 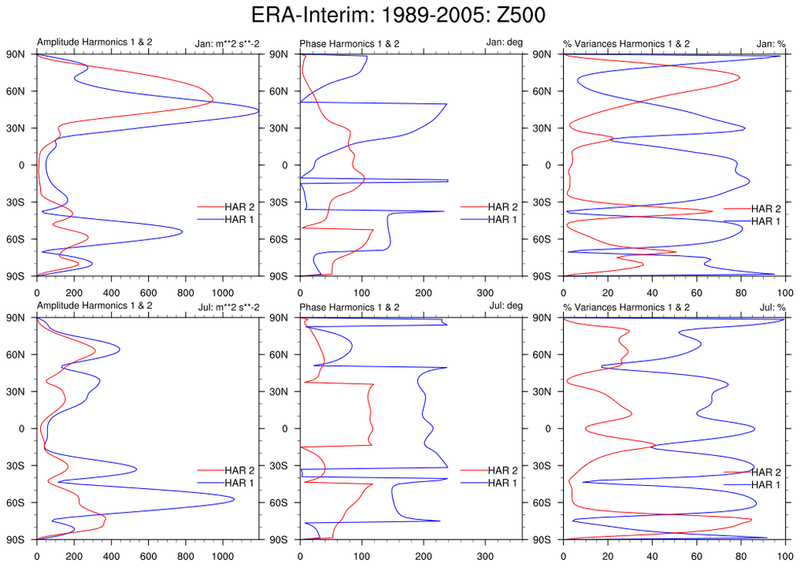 The Fourier Analysis in the following examples uses a climatological data set derived from ERA-Interim data spanning 1989-2005. 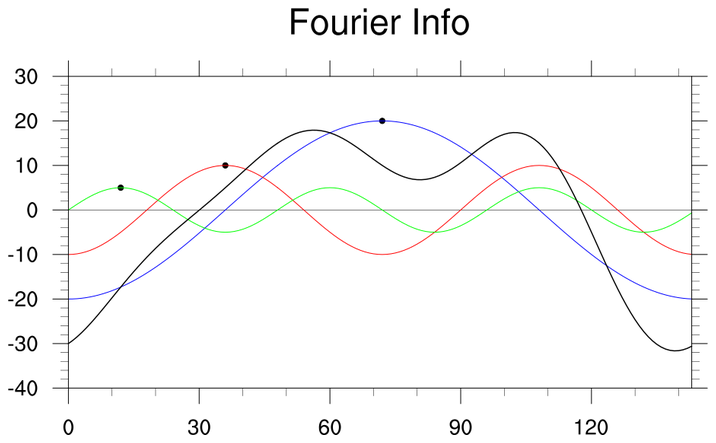 The fourier_info, ezfftf and ezfftb can be used to perform variations of Fourier Analysis. Using these functions on a variable with longitude as the rightmost dimension performs spatial analysis. To examine temporal harmonics, the input series must be reordered so the dimension 'time' is the rightmost dimension. 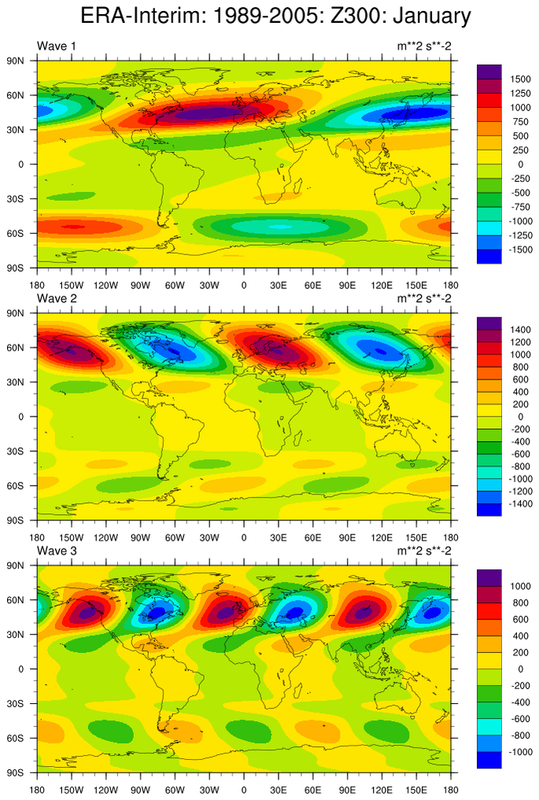 fanal_1.ncl: A variable (here, gropotential height at 500 hPa) dimensioned (time,lat,lon) is examined to determine the amplitude, phase (1st maximum) and percent variance explained. Harmonics 1 and 2 are displayed. 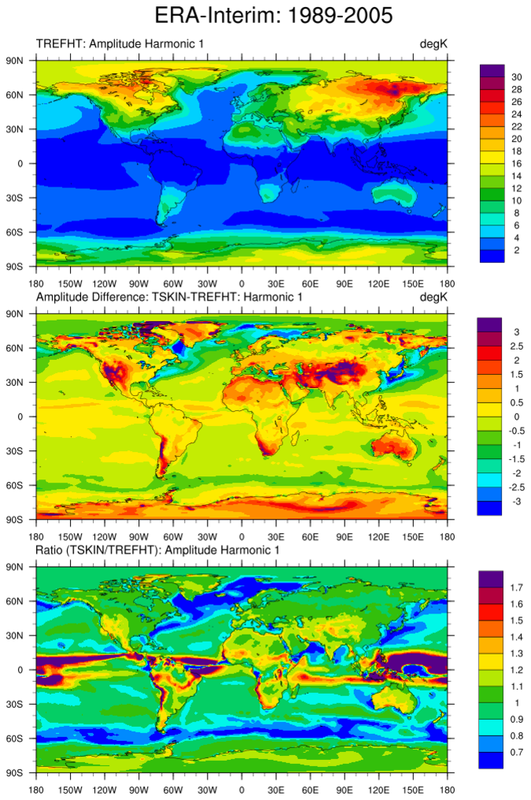 fanal_2.ncl: Two similar variables TREFHT (temperature at 2m) and TSKIN (temperature at actual surface) are compared via harmonic analysis. fanal_3.ncl: A forward fast Fourier transform (ezfftf) performs a 'Fourier Analysis'. Selected coefficents are set to zero to isolate different waves. A backward fast Fourier transform (ezfftb) is used to perform a 'Fourier Synthesis'.